Look No Further For Drain Cleaning In Randolph! Is your toilet acting up? 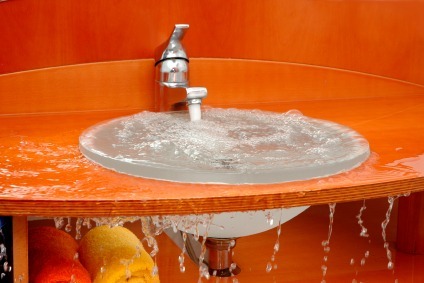 Is your kitchen or bathroom sink flooding with water that won’t go away? Whatever your problem, if you need drain cleaning in Randolph Missouri, Kevin Ginnings Plumbing Service Inc. can do it. Since 1985, we have been hard at work building our reputation as one of the top companies providing drain cleaning in Randolph. There are a lot of companies who do Randolph drain cleaning, but only Kevin Ginnings Plumbing Service Inc. offers our unique brand of in-depth knowledge and friendly service. With Kevin Ginnings Plumbing Service Inc.’s years of experience serving Randolph, we can resolve any problem you may be having with the pipes in your toilet, shower, bathroom sink, kitchen sink or washing machine. No two pipes are the same. For instance, if you live in an older Randolph home, you’re likely to have iron pipes, which often clog due to mineral buildup. At Kevin Ginnings Plumbing Service Inc., we can adapt our services to meet the drain cleaning needs of any Randolph home. Call (816) 832-4322 and tell us your problem, and we can discuss your individual needs. Kevin Ginnings Plumbing Service Inc. has experience working with every variety of pipe that might require drain cleaning in Randolph. Different kinds of pipes may be used throughout your house. You may have PVC pipes throughout your house, but not in your kitchen sink or shower. This is because they can’t be used with hot water. Whether you need drain cleaning in your kitchen, bathroom or laundry room, Kevin Ginnings Plumbing Service Inc. can be your one stop for drain cleaning in Randolph Missouri. Call (816) 832-4322 today to take advantage of our years of experience with Randolph drain cleaning!